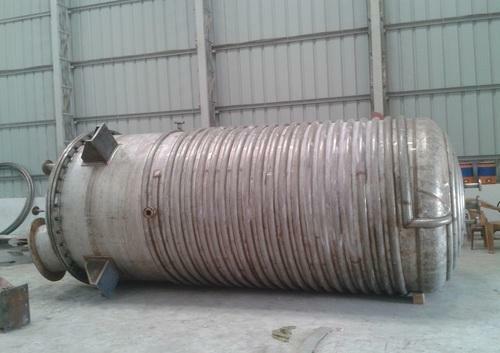 We are one of the leading manufacturers and exporters of Limpet reactors. and Chemical Reactors. A Jacketed Reactors and Chemical reactors is a vessel that has been designed to operate at pressures above 15 p.s.i.g. Widely used in Power chemical, food, pharmaceutical and various other industries. The safe design, installation, operation, and maintenance of Jacketed reactor and Chemical reactor in accordance with the appropriate codes and standards are essential to worker safety and health. Our Jacketed Reactor and Chemical reactor are manufactured from the superior quality raw materials under high precision. Utilization of high technology machines in the manufacturing ensures the long lasting excellent performance of these Reactors. We have almost two decades of experience in the domain of manufacturing and exporting a quality array of Incineration Systems. The comprehensive range that clients can avail from us includes Munipal Solid Waste Incinerator, Waste Disposal System, Incineration System, Incinerator for Liquid Waste, Munipal Waste Incinerators, Bio-Medical Waste Incinerators, Hospital Waste Incinerators, Industrial Waste Incinerators, Heat Exchangers, Plate Heat Exchanger, High Pressure Heat Exchanger, Steel Heat Exchanger, Chemical Plant Equipment, Chemical Plant, Chemical Process Equipment, Liquid Vessel, Pressure Vessels, Steel Pressure Vessels, Open Vessels, Industrial Open Vessels, ETO Machinery. Plot No. C/1/B-138, Phase II, G. I. D. C.